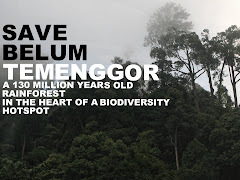 The mature Meranti trees found on the slopes of Bukit Lagong, in FRIM. "These hill slopes used to be the domain of terraced vegetable plots and those ponds down there are relics of the tin mining industry of the colonial era," chirps our guide while he moves his finger across the verdant hill slopes to the landscaped pond gardens at the foothills. 80 years since the establishment of the Forest Research Institute of Malaysia (FRIM), much of the denuded hills that was so common in the old days have all but disappeared under the experimental forestry works of FRIM. The green hills, however, are not in any way, boring mono-culture forests (as would be expected from the infamous rubber and oil palm plantations), In fact, my visit to the site revealed a surprisingly diverse range of wildlife and plants, some are even considered rare! Sun light penetrating the verdant forest canopy along the Rover Track in the heart of FRIM. The mention of FRIM as an ecologically haven worth exploring may amuse many Kuala Lumpur urbanites. I also have doubts that these secondary and anthropogenically-altered forests of such close proximity to the bustling urban landscape of Kuala Lumpur would support much wildlife at all. That notion seems to be challenged in FRIM's case, though. Perhaps it is because FRIM is one of the few remnant forested environments in Kuala Lumpur? Or the fact that it has grown to mimic a natural secondary forest structure after all these years has influenced the reclamation of past forest wildlife? Or probably some other yet unidentified reasons? Pockets of the disturbed forest seen here as a long abandoned durian orchard are exposed to sunlight and results in the presence of thick undergrowth characterised by easily adaptable species including exotic (introduced) flora. One of these exotics is Parrot's Beak Heliconia, Heliconia psittacorum from the Amazon. Much of the human activities in FRIM are concentrated in the developed portion of landscaped gardens, research centres, settlements and museums in the lowlands. Visitors to FRIM are often here to have outdoor workout sessions, to enjoy panoramic views up on FRIM's signature forest canopy walkway in the hills or to have a bit of splashing around in the Sungai Kroh waterfall. 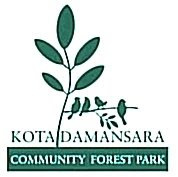 For many, the most part of FRIM that lies within the thickly forested granite range of Bukit Lagong Forest Reserve is dismissed as just another part of the scenery. A rare rainforest phenomenon known as "crown shyness" displayed by Kapur, Dryobalanops aromatica, which is found only in a handful of locations, where one of them is in FRIM. Clumps of characteristic brick red seed pods of Kelumpang, Steculia sp. high on the canopy of FRIM. One of the multi-tiered waterfalls along Sungai Kroh (literally meaning murky river or stream, but actually the water is really clear!). One of the beautiful rapids channeling crystal clear freshwater along Sungai Kroh. The occassional overflowing of Sungai Kroh after heavy downpours washes large quantities of forest leaf litter from the banks, resulting in this maze of tree roots and large, rounded boulders. Another timeless scene of the fast flowing water of Sungai Kroh in the upstream area. One of the hardy ferns, Antrophyum callifolium, eking out a living by clinging precariously on a moss-covered rock face overlooking the thundering waters of Sungai Kroh. An uncommon find-the horticulturally-popular Begonia, Begonia sp. A related species of the commercial pepper-Tiger's Betel, Piper porphyrophyllum, found on the forest floor. It is currently being researched for potential medicinal uses. Another forest creeper of an unidentified but common species. A palm tree, Arenga westerhoutii, fruiting profusely near the highest point of the hill trail (informally known as Bukit FRIM or FRIM Hill). The famous Malaysian anesthetic- Tongkat Ali, Eurycoma longifolia, said to be a cure-all. The medicinal value of it is still under intense research currently and is debatable. A grass-like but significantly larger-sized plant called Bemban, Donax grandis, found along the upper parts of the trail. A peculiar fig, Ficus fistulosa that bears fruits through protruding branches along its trunk. The eyecatching inflorescence (clumps of flowers arranged along a stalk) possibly of a species of the genus Schefflera. A wild Jasmine, Jasminum sp., found beside the swift waters of Sungai Kroh. The common fern-like herb Selanginella willdenowii with its characteristic bluish-green tinged leaves. Note the flower petal and a huntsman spider on its side. The common yet fascinating flower of Black Lily or Keladi Murai, Tacca integrifolia, which is rather common as a forest understory plant. It is widely used as a herb to treat rashes, rheumatism, aching limbs and various other illnesses. One of the must-see plants when visitors are in FRIM is this gnarled vines of the Liana plant, Bauhinia sp. In certain parts of the peninsular as well as other Southeast Asian regions, this plant is the primary host of the world's largest flower-the Rafflesia. One of the largest Yam or Taro plant- Keladi gajah (meaning: Elephant Yam), Alocasia macrorhiza, found at the forest edge in FRIM. Some Orang Asli (Indigeneous people) use the leaves of this plant as an umbrella during downpours. A closeup view of the Elephant Yam's equally large flowers. These graceful red flowers belongs to Putat, Barringtonia macrostachya. They were found detached from the plant, on the forest floor. The dried latex of a tree known as Jelutong, Dyera costulata, which is a local species that produces a leathery, rubber-like substance. It was once commercially harvested and used in many products before the introduction of the Brasillian Para Rubber Tree, Hevea brasiliensis. An unidentified fungi growing on the thin soils of the forest floor. A fungi of the genus Cymatoderma that grows on forest litter and plays a crucial role in breaking the organic matter down into nutrients for the plants. Another species of fungi cluster on the surface of decaying tree logs. Another common wood-inhabiting fungi, Stereum sp, with a beautiful "polished-wood" appearance. These fungi sometimes houses a large colony of mature beetles and larvae. Shown here are a colony of Spotted Fungi Beetles, Eumorphus marginatus, found feeding on the spores of the underside of a large fungi, Ganoderma tropicum. An oddity among the insect world-the bio-luminescent firefly, Pteroptyx valida, resting on a leaf of a forest shrub. The molting cast of a cicada found on the stalks of an Elephant Yam Plant. Cicada casks are used in traditional Chinese medicine to cure minor respiratory ailments. Finally, after hearing the omnipresent chattering and ringing in the forest for the last few hours, I've chanced upon one of the makers of this distinct rainforest cacophony-the cricket, Nisitrus vittatus. Another insect having the same habits of the crickets-the Shorthorn Grasshopper, Erucius sp. A striking group of spiny caterpillars on the stalk of a forest undergrowth plant. An unidentified pair of spiders seeking refuge near the Sungai Kroh waterfall by folding a leaf using their strong silk webs. The Nursery Web Spider, Pisaura sp., is another critter that favours the surfaces of leaves probably as its hunting grounds. A Huntsman Spider of the family Sparassidae on a flower petal. An unidentified Orb weaver Spider with striking iridescent green and red stripes on its abdomen. A striking Orb Weaver Spider, Agiope aemula, in its typical "X" shaped pose and bands of zig-zagging silk web structure. The delicate stabilimentum (the patterned silk structure) of another Orb Weaver Spider, Argiope sp. makes it an eyecatching find despite being rather small in comparison with other spiders. Of all the forest spiders, the Golden Orb Weaver, Nephila pilipes, is among the largest and most "fearsome-looking" of them all. This giant female easily measures 15cm from the tip of its leg to another and has just netted an unfortunate moth. Upon closer inspection, there was a tiny red male (of the same species) hitching on its back, probably trying to mate with the giant female. Another view of the female with its prey. Note the width of the web which can be up to a metre or more, thus enabling the spider to weave in between tree branches even high up in the canopy. Gigantism is not confined only to spiders, but can also be found among ants as this Giant Forest Ant, Camponotus gigas, exemplifies. This worker ant of the species measures almost 3 cm from its head to its abdomen. On the other end of the size spectrum, tiny forest termites, Hospitalitermes sp. , can be found on the tree roots and branches scraping microscopic bits of lichen, which is their primary food. An unusual and amazing bird by all accounts, the Greater Racket-tailed Drongo, Dicrurus paradiseus, possesses a pair of racket-like ends that dangles from its tail ends. Another creature perfectly adapted to forest life is the peculiar Black-bearded Flying Lizard, Draco melanopogon. It has modified ribs that can be expanded to form two wide-curving membranes for gliding from tree to tree when escaping from predators. These ribs can be seen folded on the sides of its body in this picture. This shy Spotted Forest Skink, Sphenomorphus scotophilus, can be found scurrying on moss covered rocks particularly in the shaded areas of the forest. Another relatively common reptile- the Common Green Agamid Lizard, Calotes cristatellus, on a palm leaf. While many associate rainforests with megafauna (large mammals species), it is very rare that people will ever encounter them in reality. Their presence in the forest is usually only identified via footprints and droppings. Seen here is a hoof-print left by the Common Wild Boar, Sus scrofa. A long dead Cyclophorus Snail, Cyclophorus perdix tuba, eroded by the acidic soils of the forest and encrusted with green algae. Another rather common snail-Hemiplecta densa aestivating (similar to hibernating) on a leaf. The Kinta Dyakiid Snail, Dyakia kintana. Snails of the genus Dyakia are usually sinistral coiling (coiling to the left) as oppose to most snails, which coils to the right (see the Cyclophorus and Hemiplecta snails above). The name of this snail genus came from the generic term for the Indigenous people of Borneo-the Dayaks while its species is named after Kinta Valley in Perak, Peninsular Malaysia. FRIM is indeed a surprisingly diverse tree plantation. 80 years of intensive afforestation since the 1920s has finally bear fruit to an almost rainforest-like environment. The continuous existence of commercially useful native trees and the fauna component of it makes it even more sustainable. 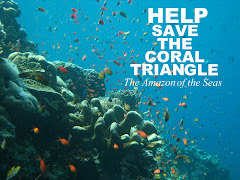 As one of the ardent FRIM forest hikers told me, "In the time where a soccer field of rainforest is disappearing every minute due to unsustainable agriculture and land clearing, perhaps it is time for those responsible to look towards FRIM's approach in striking a balance between maintaining biodiversity and creating commercial crops?" Wow! not only siput expert but your flora id also not bad. I like FRIM too except when those days when they have the noisy family events there with loud blaring music. Well, actually I'm not really "flora-expert" but I always liked to investigate more about any flora and fauna I've found through various sources. And yes! I agree wholeheartedly that a forest is not a forest with all that noise pollution from blaring loudspeakers during those family events! I seriously don't understand why these people want to hold such events in a place like FRIM. If they want to blast their music, they should put themselves in the city. FRIM ought to make a policy on this. It's all a sad irony that organisers picked FRIM for such events in the hope that people will be able to enjoy the natural backdrop. And here they are, thrashing the very essence of a forest-it's natural symphony played by the rainforest creatures themselves!